If you want a 31.5″ monitor, the AOC Q3279VWF is pretty much as cheap as you can get without having to sacrifice any crucial specifications. It’s based on a 1440p VA panel providing a crisp and vibrant picture quality while AMD FreeSync up to 75Hzm low input lag, and a quick 5ms response time speed make for a responsive gameplay experience. Unlike monitors with other panel types (TN and IPS) which usually have a static contrast of 1,000:1, the AOC Q3279VWF can produce much deeper blacks shades. 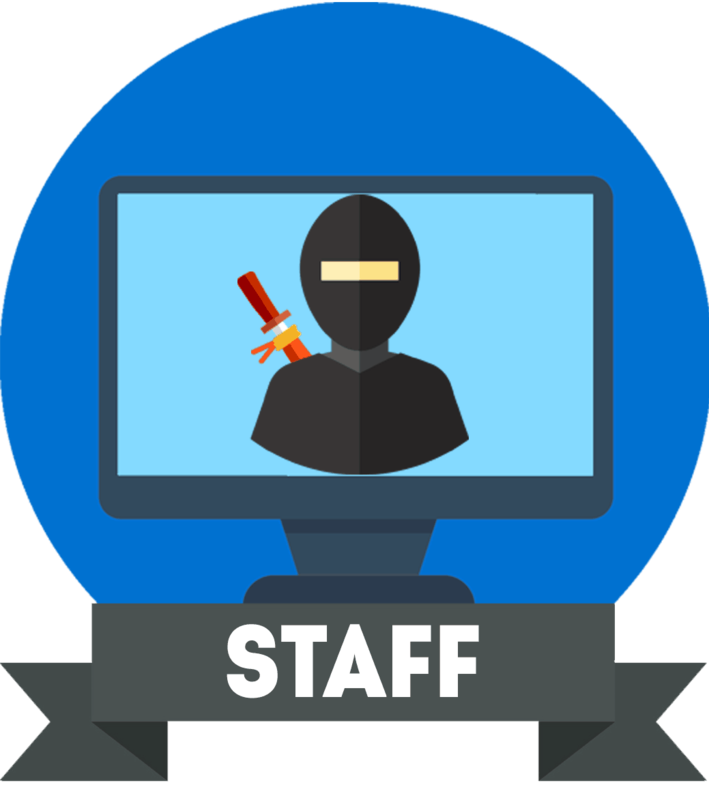 However, the colors aren’t as consistent as they are on IPS panel displays, and for the best color performance, calibration is required. Moving on, the panel offers wide 178-degree viewing angles both horizontally and vertically but some minor shift in contrast is expected when looking at the screen from the sides. With the WQHD 2560×1440 resolution, the 31.5″ AOC Q3279VWF offers a pixel density of ~93 PPI (Pixels Per Inch) which is identical to that of a Full HD resolution on a 24″ screen. So, you don’t get quite as clear details and as much screen space as you would on a 27″ 1440p monitor, but the picture is crisp and you certainly won’t be able to individually distinguish pixels from a normal viewing distance. There is no excessive backlight bleeding nor any dead pixels, but as previously noted, calibration is required for the optimal picture quality. The AOC Q3279VWF input lag is impressive with only ~4ms at 75Hz while the response time speed of 4ms causes only moderate ghosting of fast-moving objects. In the OSD (On-Screen Display), you can adjust the OverDrive setting to Off, Weak, Medium, and Strong, but we find the ‘Weak’ setting to work the best as ‘Medium’ and ‘Strong’ causes inverse ghosting. 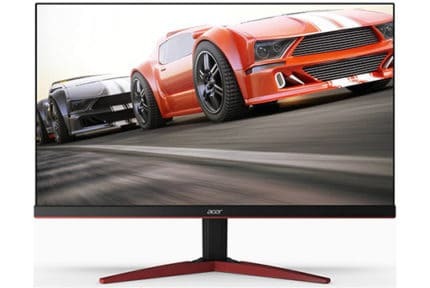 Additionally, the AOC Q3279VWF supports AMD FreeSync which when connected to a compatible AMD graphics card or an Xbox One console allows the display to change its refresh rate dynamically. This eliminates screen tearing and stuttering with minimal and unnoticeable input lag penalty but the AOC Q3279VWF FreeSync range is only 48-75Hz. Once your FPS (Frames Per Second) rate drops below 48, FreeSync will not work until the framerate is back within its working range. Update: FreeSync also works when using a compatible NVIDIA G-SYNC graphics card. However, the performance is not stable on the AOC Q3279VWF as the monitor keeps desynchronizing with the GPU forcing you to turn on/off the monitor every time it occurs which is fairly often. The OSD menu of the AOC Q3279VWF 1440p monitor is rather minimalistic but navigation through it is straightforward and quick. There are five buttons on the bottom right side of the monitor which can be used as shortcuts for input source selection, Game Mode, Aspect Ratio/Screen Size presets, menu, and power, respectively. In addition to the OverDrive settings, gaming features include pre-calibrated picture presets for FPS, RTS, Racing, and three fully-customizable ‘Gamer’ modes. You will also find ‘Shadow Control’ and ‘Game Control’ features which adjust the color and contrast in order to make dark areas of the game brighter and more clear. Other features include the standard adjustments such as contrast, brightness, three gamma presets, an ECO mode, three low blue light modes, and color temperature presets including manual settings for RGB. 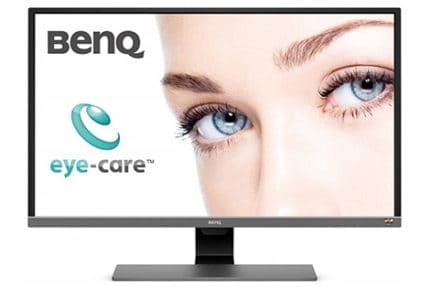 The AOC Q3279VWF screen is flicker-free which in addition to the integrated low blue light filter allows for prolonged use of the display without causing you eye strain or headaches. 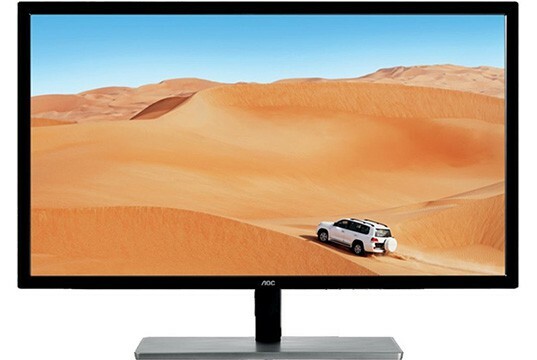 The AOC Q3279VWF 31.5″ monitor features glossy chassis while the stand has a semi-matte finish. 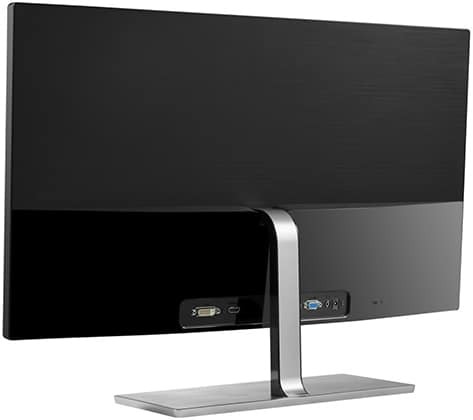 The back of the monitor is matte at the top and glossy at the bottom. Furthermore, the monitor has a glossy screen surface which makes the colors pop out but also causes reflections, so you will have to mind the lighting in your room. Connectivity includes a VGA (1080p at 60Hz max), a DVI (1440p at 60Hz max), an HDMI (1440p at 75Hz max), and a DisplayPort (1440p at 75Hz max). Both the DisplayPort and the HDMI port support AMD FreeSync. Unfortunately, the stand is tilt-only and there’s no VESA mount pattern. So, if you want to increase the height of the monitor, you will need a dedicated stand riser. The price of AOC Q3279VWF monitor amounts to $207 MSRP which makes it one of the most affordable 31.5″ 1440p monitors. Note that the AOC Q3279VWFD8 model is the same monitor but with an IPS panel instead of the VA. Since the AOC Q3279VWF is not available in the US, check out the ViewSonic VX3211 and the Samsung C32H711 for alternatives. The AOC Q3279VWF 75Hz gaming monitor is a cost-effective 31.5″ 1440p display with a smooth performance and a stunning picture quality for the price. Due to its big size and moderate ghosting, it’s not recommended for competitive gameplay, but for casual PC or console gaming and everyday PC or office/productivity use, it’s exceptionally good. The AOC Q3279VWF is an affordable 1440p monitor yet it offers a big 32" screen, a VA panel with high static contrast for true blacks, and AMD FreeSync up to 75Hz. There's some moderate ghosting and design limitations, but it's tolerable at this price range.